If you wish to participate, there are many ways to help with these programs. Volunteer time and talent with a committee or project group. 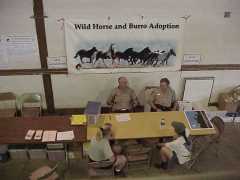 Informing potential participants about the workshop and the public about wild horses and burros. Getting financial sponsors as well as merchandise donations for event raffles and silent auctions. 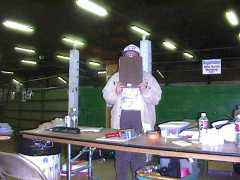 Arranging to get people and supplies where and when they are needed. Recommending suitable accommodations for participants (hotels/motels), making hospitality arrangements for clinicians and VIPs. There are many support tasks that need to be done from assisting at the registration desk to helping provide event security. The Wild Horse Workshops are high intensity programs. Persons wishing to volunteer have to be reliable, make reasonable commitments and be counted on to perform assigned duties where and when scheduled. For insurance reasons all volunteers at events must be LRTC members. 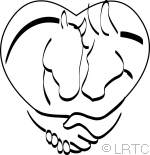 Coordinate with LRTC's Publicity Committee and BLM's Public Affairs Team to distribute information relating to the workshop and related wild horse and burro adoptions. Be willing to solicit financial and material donations from potential corporate and private business sponsors. Help coordinate and/or provide transportation for clinicians and essential workshop supplies and materials. Preview suitable hotel/motel accommodations for participants, get group rate quotes, coordinate room reservations with Hospitality Committee, assist clinicians and VIPs with hospitality needs. There are dozens of "small jobs" that need doing during the workshops. Help share the load so that the all volunteers will get plenty of "pen time." To be get involved in this project, please Click Here. What is a Wild Horse Mentor? Least Resistance Training Concepts is a 501(c)3 non-profit educational corporation based in Knightsen, California, with volunteers in thirty one states.